As I mentioned in a previous post, what is apparent about the Hungarian culture, as well as the majority of the other cultures showcased at the festival, is the fact that the people really enjoyed the process of making. 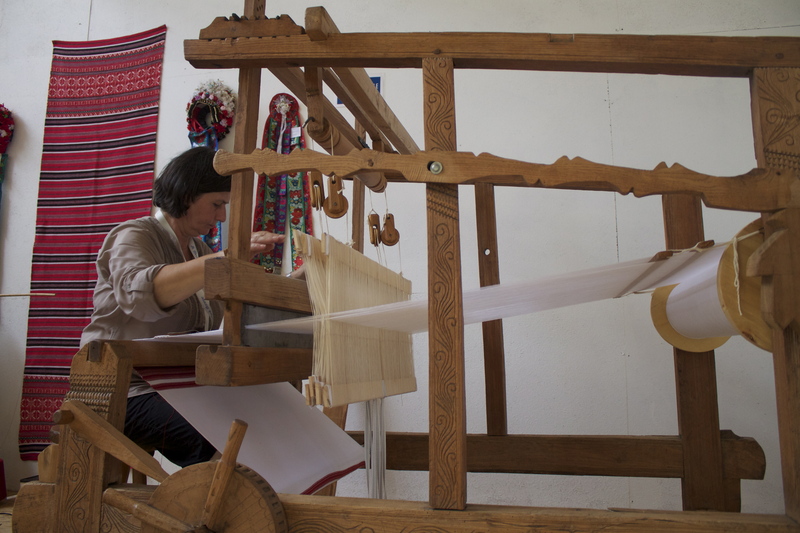 The woman shown above is making a blanket using a weaving loom- a machine that not only dates back since the dawn of time, but also utilizes all parts of the body. Her feet enable the machine to work, putting the process in motion. 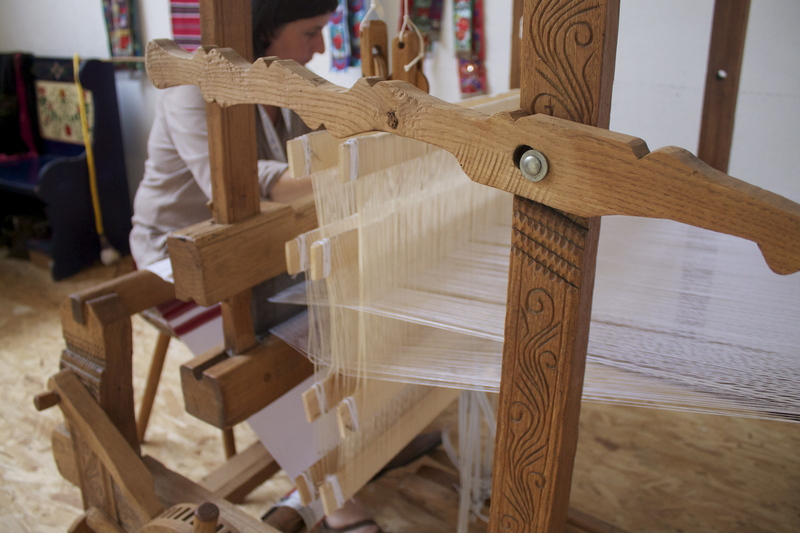 Using a shuttle, she uses one hand to feed the thread through, while the other maneuvers a wooden block that fuses that thread into the rest of the pattern. She is focused and accurate, but then again you have to be to use this intimating contraption! Being that we live in a digital and technology-driven world composed of 3d printing and other computer aided tools that speed up production, it is certainly refreshing to see a retrieval of more traditional practices that force the designer/user to become more diligent and also appreciative of craft. 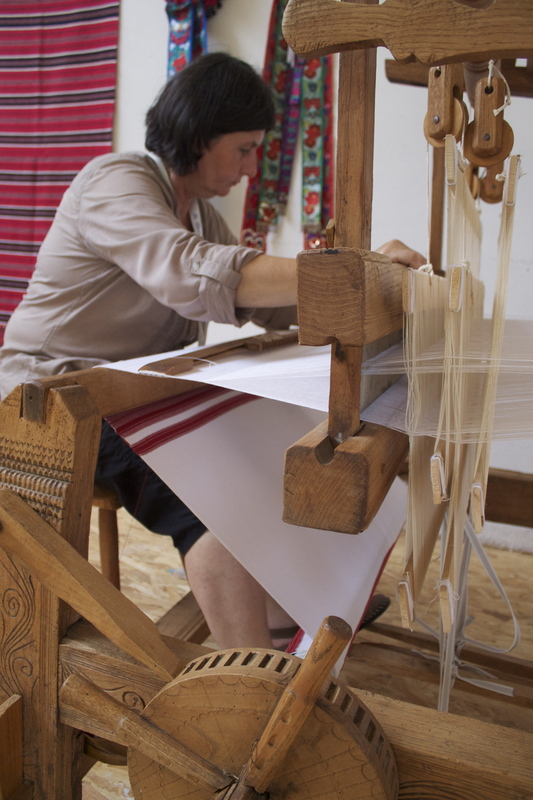 It is also important to recognize that through the practice of making blankets and patters, the culture is once again revived through the process. 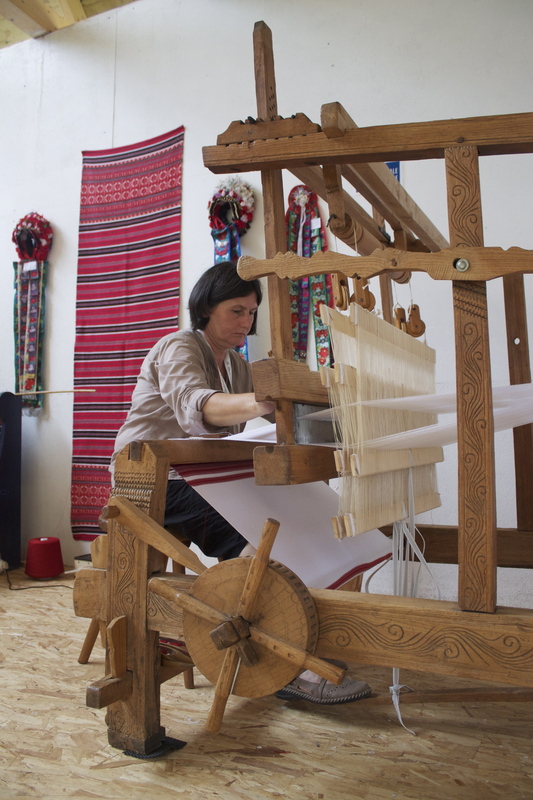 It reminds us of how the ancestors of the Hungarian culture went about producing quality, hand crafted goods for their community or for trade. This entry was posted in 2013 Folklife Festival. Bookmark the permalink.